Lt. (J.G.) 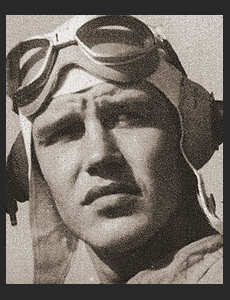 Lloyd A. Cole, son of Mr. and Mrs. Lloyd Cole, graduated from Frederick High Scool, attended A&M. Entered the Naval Air Corps in 1941, trained in San Diego, Cal, Norfolk, Va, Pensacola, Fla; served in Australia, the Solomons, the Philippines, French Indo China, Formosa, Iwo Jima, Japan, Okinawa. Awarded Am. Theatre Ribbon, Asiatic Pacific Theatre Ribbon with four Battle Stars, Philippine Lib. Ribbon with two Battle Stars, DFC, Air Medal.